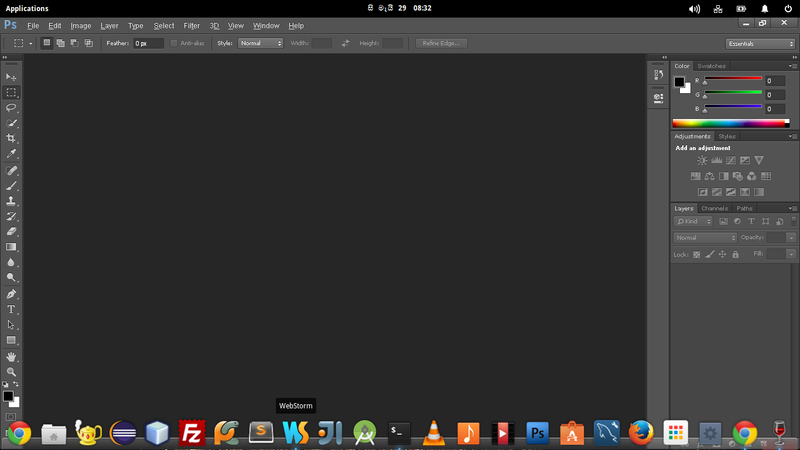 මේ විස්තර කරන්න හදන්නේ linux වලට Adobe Photoshop CC install කරගන්නේ කොහොමද කියලා. කාලයක් windows වල adobe products use කරපු කෙනෙක්ට linux වලදීත් තමන්ගේ සාමාන්‍ය වැඩ ටික කරගන්න පුළුවන් වෙනවා. ඒ වගේම windows වල තරම් slow වෙන්නෙත් නෑ apps. මේකෙදි කරන්නේ windows වල වැඩ කරන Photoshop app එක linux වල install කරගන්න එක. සාමාන්‍යයෙන් windows exe files වලට linux support කරන්නේ නැහැ. මේකට විසදුමක් විදියට තමයි WINE නිර්මාණය උනේ, WINE කියන එක කෙටියෙදුමක්, Wine Is Not an Emulator කියන එක තමයි තේරුම. මුලින්ම කරන්න ඕන wine install කරගන්න එක. කැමති නම් terminal එකෙන් නැතුව software center එකෙනුත් ගන්න පුළුවන්. wine කියලා search කරාම wine windows program loader එක install කරගන්න. photoshop නැත්තන් මෙතනින් අරගන්න. දැන් wine දාගත්තට පස්සේ Photoshop app එකේ exe එක right click කරලා open in wine program loader දෙන්න. දැන් installation window එක ආවට පස්සේ location එක select කරගන්න ඕන install කරන්න. දැන් වැඩේ ගොඩක් දුරට ඉවරයි. 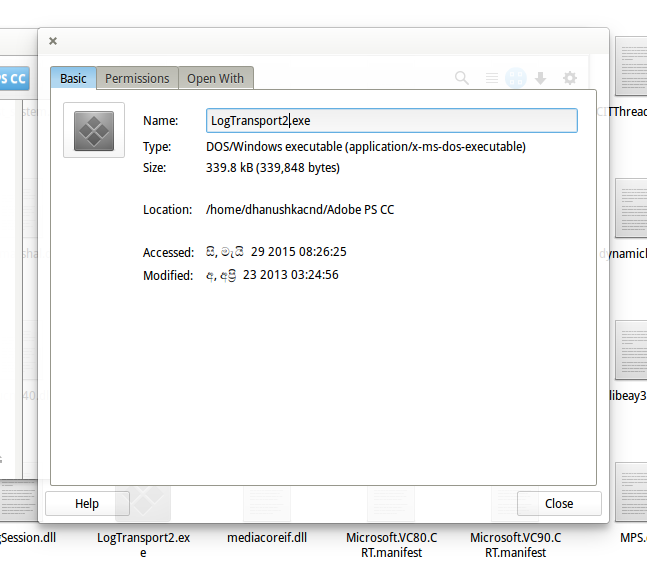 ඊටපස්සේ terminal එකේ winecfg කියල command එක දෙන්න. දැන් wine configuration open වෙයි. එතනින් add application ගිහින් app එකේ exe එක select කරගන්න. ඊටපස්සේ windows version එක විදියට windows 8 දෙන්න. exe එක run කරලා බලන්න double click කරලා. windows වල වගේම execute වෙනවා. දැන් කැමති නම් desktop shortcut, dock එකට, unity launcher එකට ගන්න පුළුවන්. හැබැයි එහෙම ගත්තම icon එක unidentified විදියට තියෙන්නේ. ඒක හදන්නේ කොහොමද කියලා බලමු දැන්. මේකට nautilus file manager එක ඕන වෙනවා. දැන් terminal එකේ nautilus කියල command එක දෙන්න. ඊටපස්සේ nautilus වලින් exe එක තියන තැනට යන්න. photoshop.exe එකේ right click කරලා properties select කරගන්න. මෙතනින් top-left icon එක select කරලා කැමති icon ekak add කරගන්න. (ex :png file එකක්). දැන් වැඩේ හරි. icon එකත් වෙනස් වෙලා ඇති. 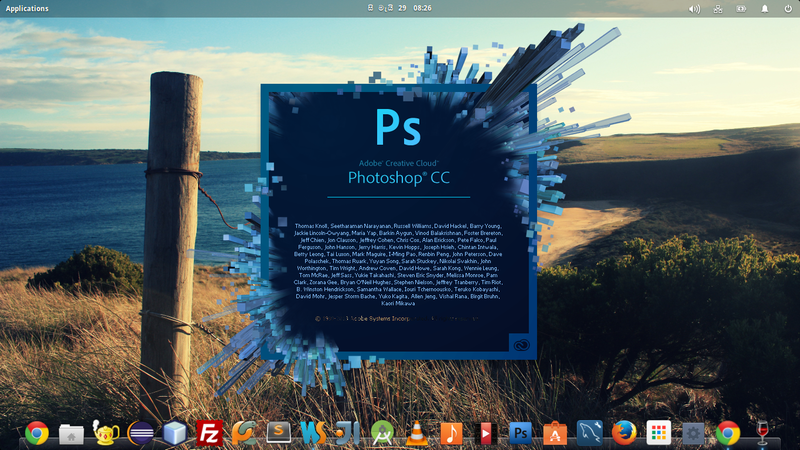 This entry was posted in FOSS, Knowledge and tagged adobe, how to, install, linux, photoshop by dhanush_c. Bookmark the permalink. Mekata graphic drivers ona karanawa. e wagema wine configure karalath thiyenna ona.